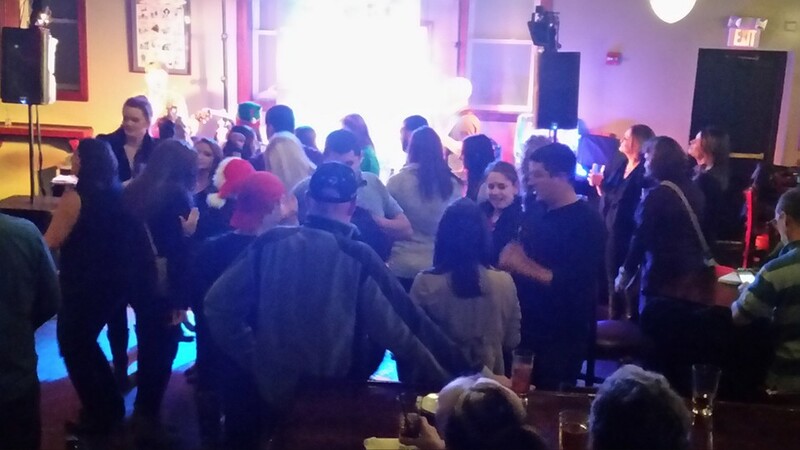 Thank you for considering Murphy’s Taproom for your private function. The Taproom is the ideal place to hold your shower, birthday party, Jack & Jill, class reunion, business function, press conference, or holiday party. Our back party room is available for private functions for up to 165 people, and weather permitting our deck can comfortably seat over 300. The party room comes equipped with four 50-inch HDTVs and 12-foot projection TV that we can configure to play your DVD or computer presentation, a stage ideal for speakers or live music, a wireless microphone, wireless internet, a full-service bar, a pool table, and cocktail seating for up to 60 people. We pride ourselves on providing Manchester with an affordable, yet attractive, high-quality party venue. Pricing your function is easy: simply multiply your expected attendance by the per-person price of your chosen items below, and add 9% for NH state tax and 18% for gratuity. As long as your function exceeds $100 per hour Sunday through Thursday, or $200 per hour on Friday or Saturday, we do not charge a room fee.